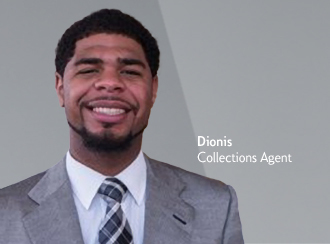 In-store branches deliver customer convenience and a dynamic career in retail banking. Citizens Bank has been inside supermarkets for over 25 years. With over 340 supermarket-based retail locations this network offers banking convenience to new and existing customers, while providing a high-traffic environment to its retail branch colleagues. Today, Citizens’ in-store branch network is a significant component of the bank’s overall distribution strategy and a key differentiator against competition. Among other players in this business, Citizens in-store network ranks #2 nationally for in-store deposits (#1 in our 12-state footprint). 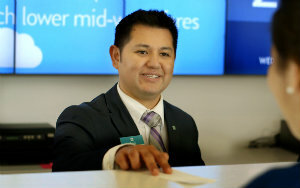 Fredy, currently an in-store branch manager at Citizens comments, “Our customers love the convenience of banking while they shop and having a branch open 7 days a week”. Full service banking advisors are available for customers within the in-store branches. As an in-store banker, you have increased opportunity to acquire new customers from the everyday foot traffic within the supermarket. It’s a fast paced and dynamic work environment where tellers, bankers and branch managers are able to engage closely with customers and support a wide variety of their banking needs. The in-store network offers numerous advantages for its colleagues such as a great earning potential due to the large volume of customers passing through the supermarket. While the more traditional work schedule in the branch appeals to some, the flexible and rotating schedule of the in-store is very accommodating for many other professionals juggling family, school and other commitments. The largest competitive advantage our in-store branch colleagues find is more opportunities to advance into new roles, like assistant branch manager. If you are looking for new paths to grow professionally in retail banking, learn more about our in-store branch careers.